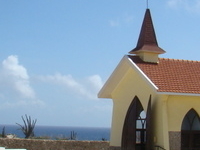 Travelers are voting Alto Vista Chapel and Beth Israel Synagogue as the best religious attractions in Aruba. Want more? Check out our map of religious attractions in Aruba or these 2 religious attractions in Oranjestad.